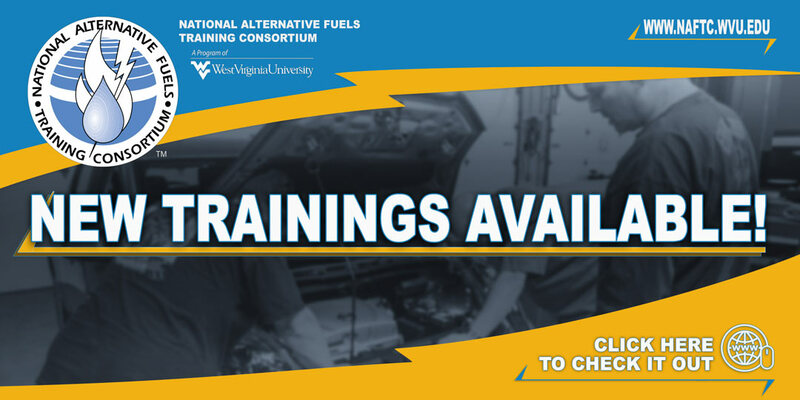 The National Alternative Fuel Training Consortium (NAFTC) includes: educational institutions; fuel providers; equipment and parts manufacturers; industry; federal and state agencies; and professional, educational and training associations. This consortium operates through a network of National Training Centers (NTCs) and Associate Training Centers (ATCs) throughout the United States. Thousands of technicians have been trained from hundreds of industry, academic, and governmental organizations. The US Postal Service, the US Air Force, Clean Cities Programs, and private fleets use training materials from the consortium. All members of the National Alternative Fuels Training Consortium receive national recognition, access to courses and workshops, discounts on curricula, industry updates, and outstanding marketing and networking opportunities. National Training Centers are post-secondary education and training organizations that provide vehicle instruction and a demonstrated commitment to move towards providing instruction in alternative fuels, alternative fuel vehicles (AFVs), advanced technology vehicles, and related technologies. Associate Training Centers include high schools, technical centers, and other organizations that provide secondary education. Nonprofit Organizations and Government Agencies are nonprofit organizations, other than educational institutions and government agencies, including Clean Cities Coalitions. Corporate Members are corporations with 100 or more employees, while Small Business Members have fewer than 100 employees.